My favorite food is: cheese – the smellier, the better! I started rock climbing because: I have always had a passion for climbing things: my parents said that I used to climb out of my crib all the time, I spent an abnormal amount of time climbing trees when I was little, and I used to make harnesses from my father’s belts to climb the railings when I was in elementary school. Once I found Island Rock existed in 1996, I directed my passion to rocks and never stopped. 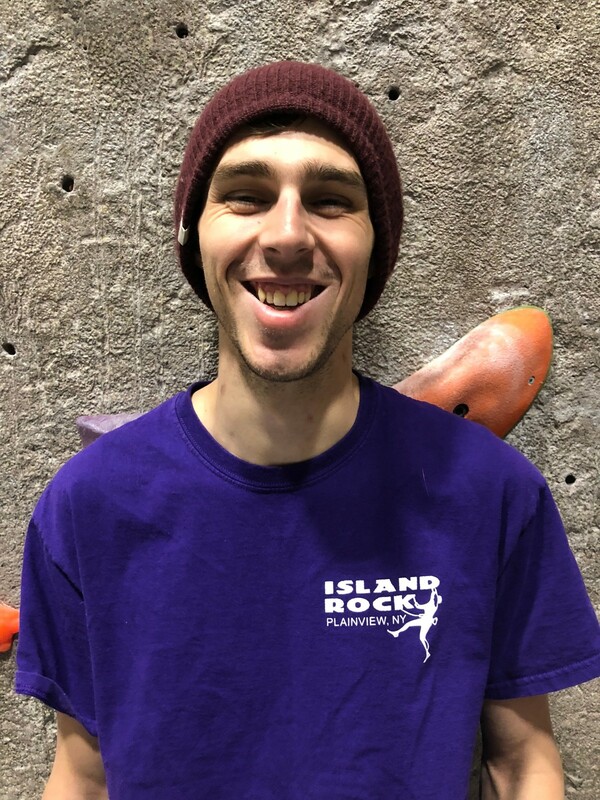 I like working at Island Rock because: I love constantly being around fun and interesting people who share a similar desire to climb or want to explore climbing for the first time. My pet peeve: when my extra sauce or dressing in a food delivery is forgotten. Pets and their name: my daughter is starting to crawl – does she count? I started rock climbing because: It was something I always wanted to try. I was 16 when a youth group trip to Island Rock was offered and I signed up immediately. I like working at Island Rock because: The best thing about Island Rock for me is the sense of community. Sharing experiences with customers and staff members has been what has kept me at Island Rock for so long. 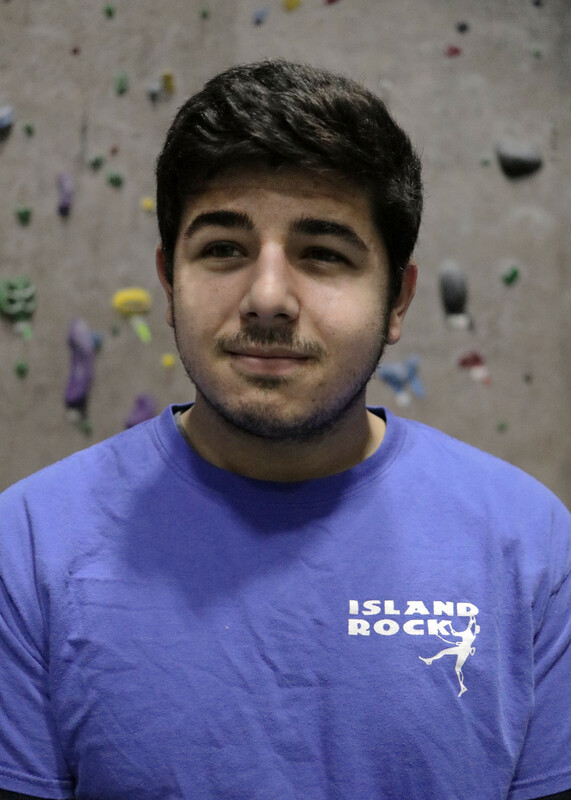 I like working at Island Rock because: The atmosphere of the gym is really awesome, I love meeting new people and making connections with guests that climb here - it makes the work day go by really fast! If I were in a talent show, I would: I make my own music on guitar, so I would play a song. My best quality is: I can only pick one? I’m driven by: I’m driven by the activities I get to pursue in my life and the relationships I build because of these activities. I lived 21 years in my hometown, then decided to leave and explore more and now I have a hunger to see the world and meet rad people from all walks of life. 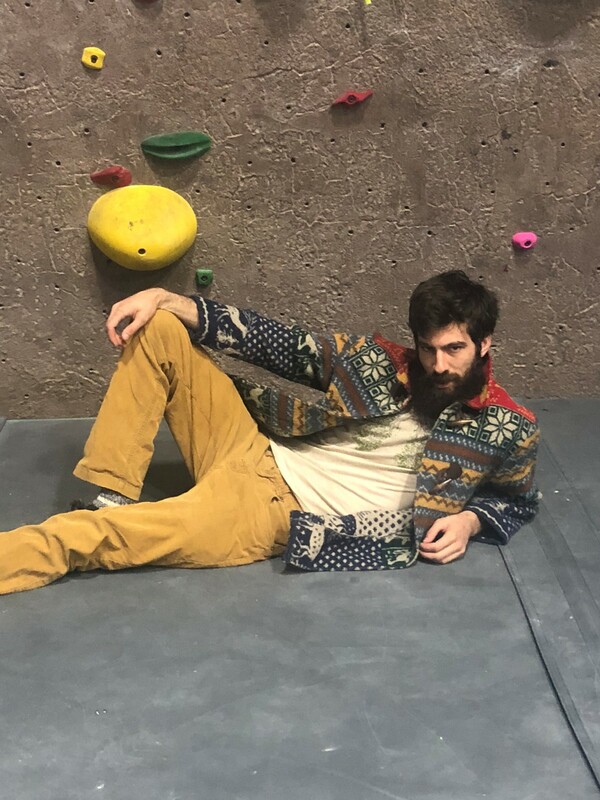 I like rock climbing because: Rock Climbing has taken me to some of the most beautiful places in the country and gives me experiences and relationships that help me grow as a person. 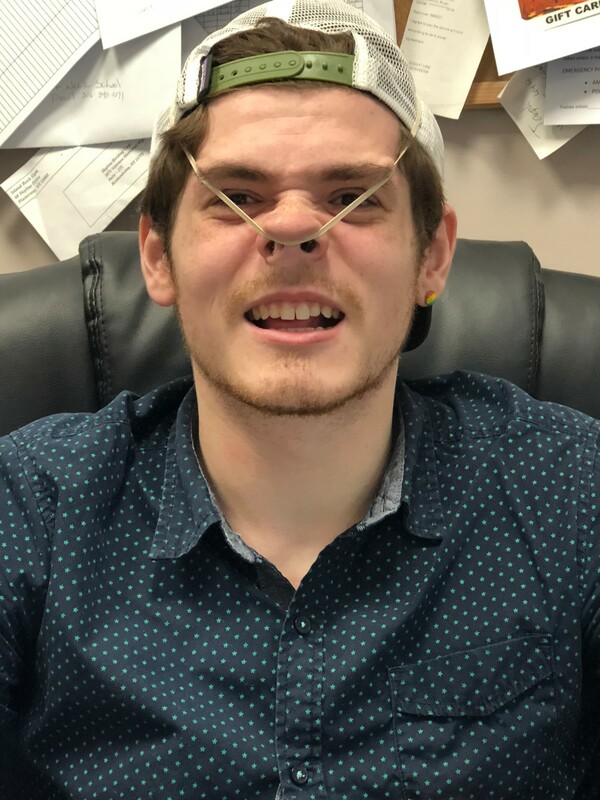 I like working at Island Rock because: It is a fun job! A relaxed atmosphere with a great community makes work great. My favorite place to climb outdoors: While the Gunks is my home crag and I have spent considerable time there, the Red River Gorge in Kentucky has had some of the greatest single pitch sport and trad climbing that I have climbed so far. If I were in a talent show, I would: sing and dance very poorly. My desired superpower: teleportation - to save on air travel around the world. Pets and their names: I have a Yellow Labrador named STELLAAAAA! I’m driven by: Overcoming obstacles in life and helping others do the same! I started rock climbing because: A Ninja friend of mine invited me to Island Rock to climb one day. I loved it! 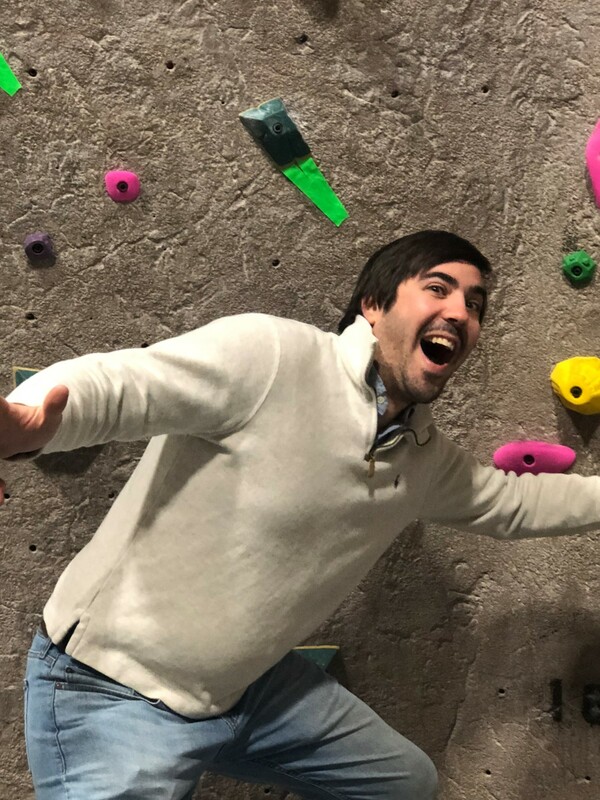 I like rock climbing because: You can constantly solve different problems, strengthen your mind and your body, and it's a great way to hang out with friends. 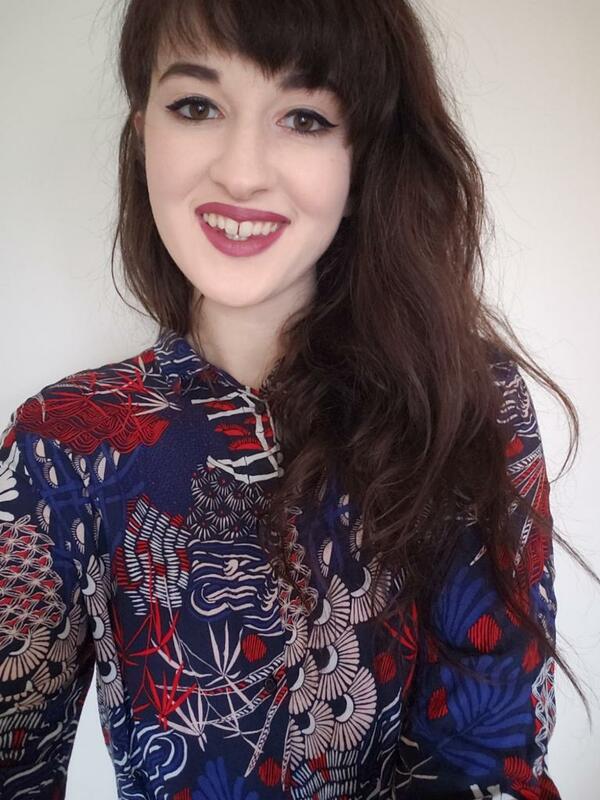 I like to work at Island Rock because: I get to make a difference in people's lives by showing them the amazing things that I've been exposed to and teach people skills that allow them to feel stronger! If I were in a talent show, I would: Sing and play guitar. Some of my hobbies include: Ninja training, parkour, writing and playing music, building obstacles, and climbing. My favorite book is: The Chocolate Wedding, it’s one of those children’s books that my family still quotes after 20 years. 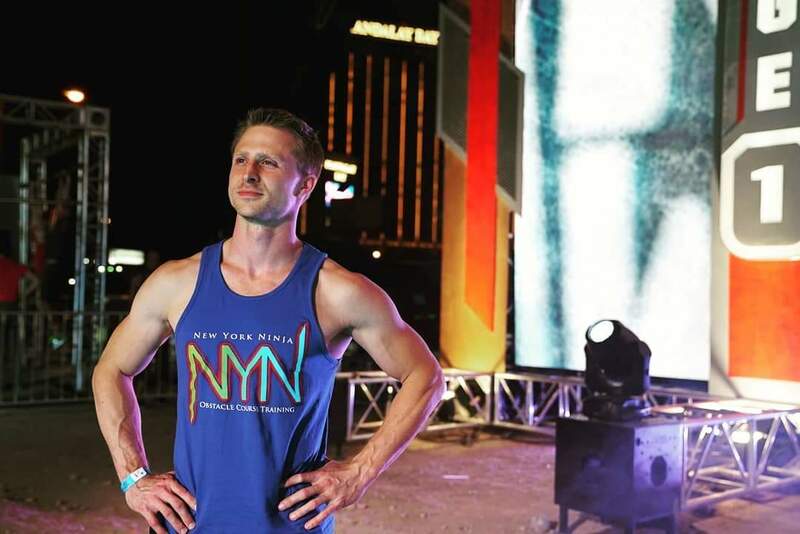 I got my degree from: I have my Bachelor’s degree from Western New England University where I dual-majored in Arts & Entertainment Management and Marketing. How did you start rock climbing? I put my hands on the start hold and the rest is history…..
Why do you like rock climbing? I enjoy puzzles and rock climbing is like a full body puzzle.